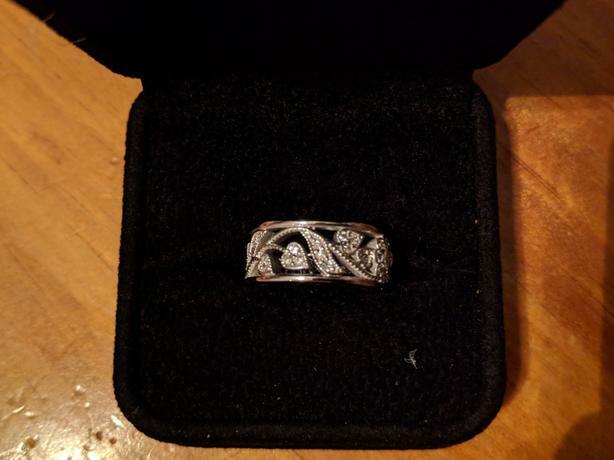 14 kt white gold, floral band engagement ring. 45 round brilliant cut diamonds, 0.44 carat total. Colour G/H, clarity S11 to S12. Appraised value $2,260.00 and never worn. Authenticity and appraisal can be confirmed by the ring's maker.